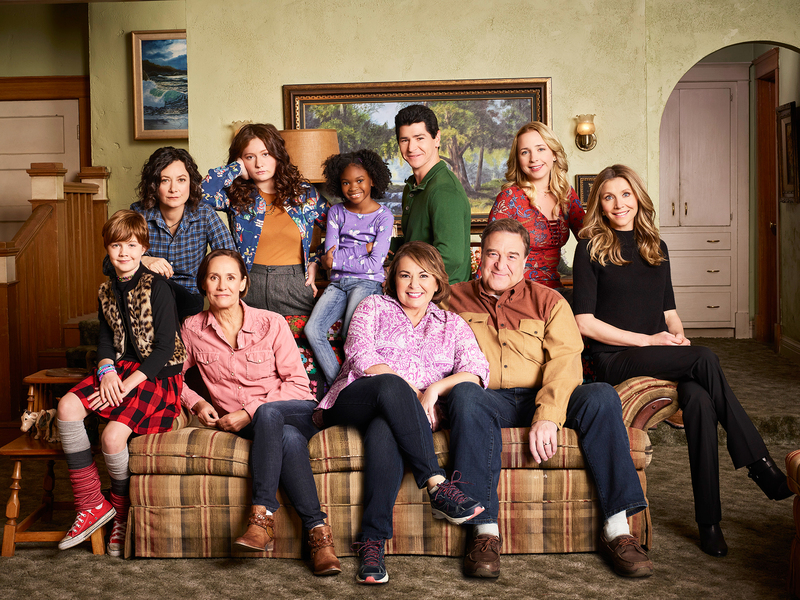 One of the greatest TV shows of all time is back on ABC, and with no less than 18 million viewers tuning in for the debut comeback episode of Roseanne – a show about about the much loved Conner family, with Roseanne, Dan, D.J., Jackie, Becky, Darlene, and her boyfriend David all making a return as part of the original cast. Yes, the whole original cast is back with new additions, and surely ABC have capitalised on a much needed revitalisation of an iconic TV show, that’s surely in great demand, given the polarised state of America, due to the major tons of left wing crap on the fake news networks and on television as a whole, so it’s no wonder that a wholesome, funny and entirely real show like Roseanne would smash the ball out of the park on its return. This is good news! Could we be experiencing a shift in family morality and reality in entertainment, with this much loved sitcom coming back to pull in 25 million viewers in its first episode, and even scoring a 5.2 rating in the 18-49 years old demographic when the show aired on Tuesday night, March 27th, 2018. When you see the instant popularity of Roseanne’s revival, you can sense that there’s still hope for humanity in this crazy world. Well, at least in America, anyway. The great Roseanne Barr appeared last week on Jimmy Kimmel Live alongside John Goodman, and she serviced Jimmy Kimmel with some home truths aimed directly at him, Hollywood and the entertainment industry, within their polarizing left wing politics. Nice! May we add that Roseanne Barr is a Donald Trump supporter, and her character on the show ‘Roseanne’ also voted for the President, with the show hinting at politics and the cultural changes of modern-day values, servicing as great material for additional comedy, which plays out in the overall outlook over the whole reprisal of the much loved TV show. Plus, it’s done in a very special and nostalgic way that surely warms your heart. Now, we must see what Roseanne Barr told Jimmy Kimmel, apart from “F*ck you!” in a fun way, so let’s take a look, shall we? Jimmy Kimmel said that Roseanne used to be liberal, to which she said, “I’m still the same. You all moved. You all went so f*cking far out, you lost everybody” which was followed by Jimmy Kimmel’s crazy evil laughter. Now the Roseanne revival is also servicing up a major wake up call to Hollywood, so could we all be in for a shift in the tides in entertainment and in politics? Well, let’s hope so, since the left have seemingly aligned themselves with only one view and we all know why they push that one view, but the public are aware of it, and they’re also totally sick of it by now. Roseanne told Jimmy Kimmel about Trump, which garnered huge support from across the country and lots of applause in the studio, she said, “A lot of us, no matter who we voted for, we don’t want to see our president fail,” before telling biased Jimmy Kimmel to “zip that f*cking lip!” which garnered even more laughs and applause. Something which Jimmy Kimmel couldn’t even help but like, presumably. Well, wouldn’t it just be great if Jimmy Kimmel and Hollywood would be impartial too… That will be the day! Hopefully that day is coming soon! Roseanne of the Conners is a blue collar family patriarch that supports Donald Trump and surprisingly the show’s debut scored very well in the young demographic, and was most popular in the following areas. At number one was Tulsa, Oklahoma. Number two was Cincinnati, Ohio. Number three was Kansas City, Missouri and Chicago, Illinois coming in at number five – the state where the show is said to be set. With the success of the ABC revival of Roseanne, other TV networks will no doubt be watching in jealousy. They may just try to reciprocate this current hole in the TV market to succeed in a similar way by aligning television output of their own, which mirrors the themes of Roseanne in a reactionary way. Plus, with the predicted ongoing success of Roseanne, ABC will most likely commission them for another season (we hope!). Hell, they may even look to revive other blue collar shows, such as Home Improvement starring Tim Allen, after ABC cancelled Last Man Standing in May last year, because Tim Allen played a devout Christian Conservative that loved his 2nd Amendment rights. Hence the name, Last Man Standing. Roseanne’s two opening episodes that are 30 minutes each, will re-run on Easter Sunday, which is very befitting, indeed. Other television networks might now roll out their own blue collar and wholesome TV shows as soon as next month. Now lets see some of the nostalgic and great ABC trailers for the new Roseanne, shall we? Of course, we have to take a look at another one now, since Roseanne’s revival might mark a perennial shift in media and entertainment content for future years to come. To say that Roseanne is a revelation is a major understatement at this time, because don’t we all miss the 90’s? A time where good films and good television dominated the entertainment landscape, when people were free from left wing propaganda, and ultimately had freedom of choice, freedom of speech and all audiences were catered to. Those were the days! So, it’s nice to have Roseanne back on primetime TV, after the previous Roseanne season finale, back in the year of 1997. Furthermore, in yet more good and wholesome news, President Donald Trump personally called Roseanne Barr and congratulated her on the stunning ratings for the comedy reboot, after clocking over 25 million viewers with its the first two episodes. The phone call was later confirmed by White House Press Secretary, Sarah Huckabee Sanders. Nice! So, Roseanne Barr is definitely helping to ‘Make America Great Again’ with her new show of old, that’s now gladly back on our television screens. Hallelujah! Buy the original season DVD box set of Roseanne here!